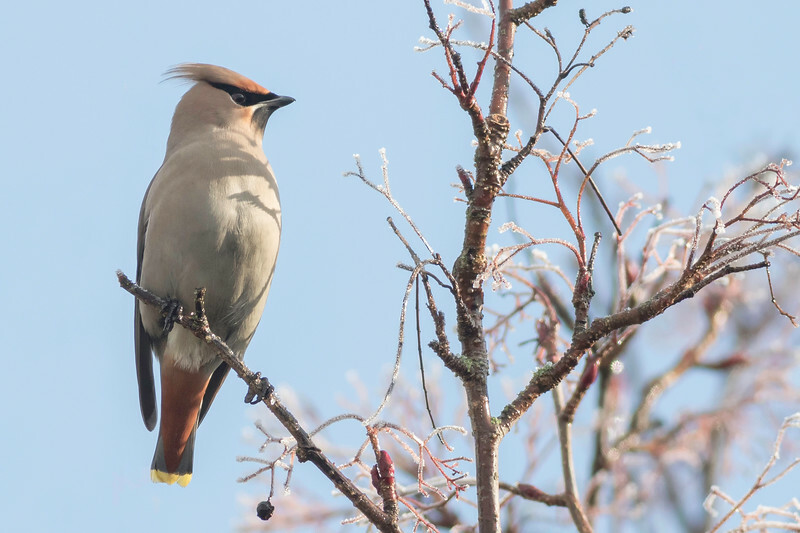 I had known that there had been a Waxwing flock of varying size at the Bounty pub in Strood for a number of weeks. So when reports filtered through on social media that the trees they had been feeding on were virtually stripped of their berries I thought I better get up there before they left the area, so planned a trip for the following day. Despite a cloudy weather forecast I awoke to a beautiful clear day with a thick hoar frost covering the ground. I met with my friend Sean en route and we made our way over to Strood. 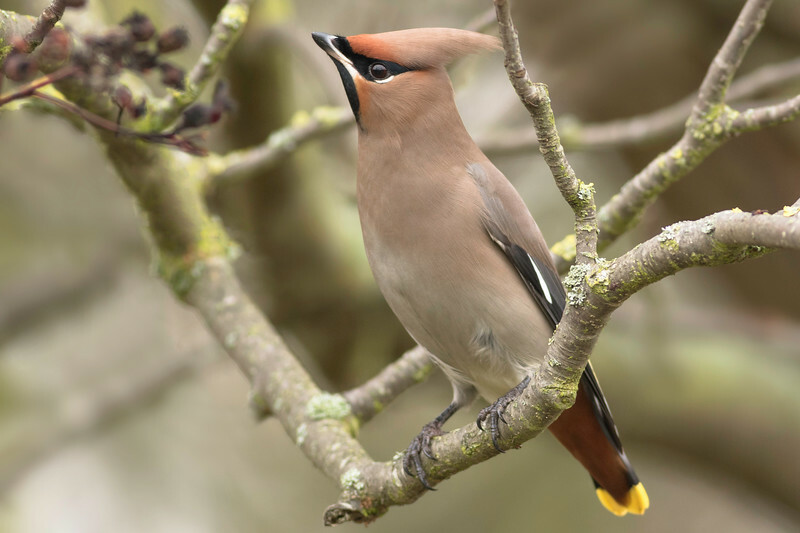 Arriving in the pub car park we were informed by a birder that there had only been one Waxwing sighted today and that the main flock were suspected to have moved on. We waited around for a while and managed to get a few shots when the bird briefly moved out to the edge of the tree. Feeling a little bit disappointed I checked facebook and Twitter for some more information and found that some new sightings had been reported close by in Northfleet which was only about six miles away, so off we set. By the time we arrived the light had gone and the sky clouded over but we were pleased to find a flock of around 70 Waxwings all feeding on berries either side of a busy A road. We spent an enjoyable couple of hours photographing the birds but difficult conditions meant the exposure compensation really had to be pushed much further than I would have liked. Hopefully they will stay around for a bit longer and even better have some turn up a bit closer to Canterbury.